The perfect Hanukkah gift for any reader! 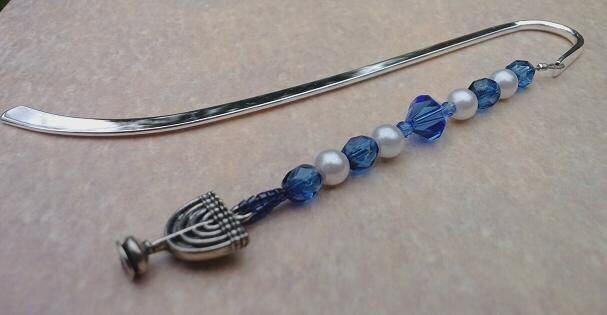 This menorah beaded bookmark offers a useful, practical, and personal gift for that special someone in your life who loves to read. Need to buy a token gift for a religion teacher, or someone you are going to visit? Let this be it! The perfect "little something" that says so much! 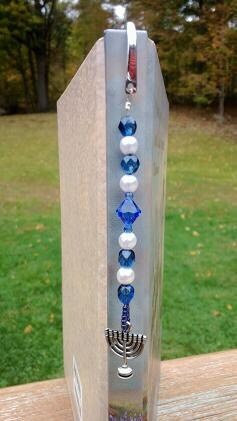 Our Menorah Bookmark is made with Swarovski crystals, glass, and plastic beads. The menorah charm is approximately .75 x .5 inches. The entire bookmark measures 5 inches long. Shipped in a timely manner. Beautifully made. Very nice. Beautiful bookmark and the perfect gift for my son's teachers! They arrived super fast in plenty of time before Hanukkah.